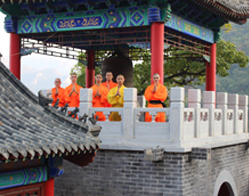 ﻿ Jenson from UK have had an amazing time in the 3 months i have spent in Kunyu Shaolin academy. 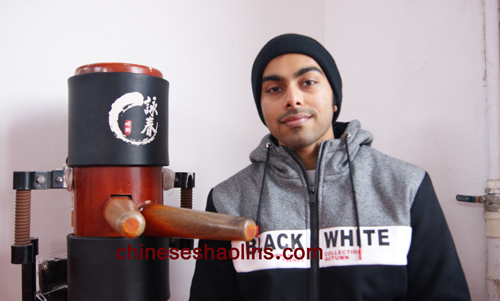 The page contain two students'reviews in Wing chun groups. I have always wanted to study martial arts in Asia. I always studied Japanese forms but the idea of training Kungfu in China had always appealed to me. 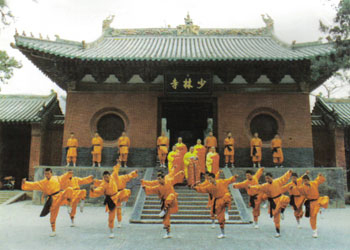 I did some research online and from all the schools i saw i chose Kunyu Mountain Shaolin Martial arts academy China. When i arrived in Kunyu I was suffering from major depression and had given up on many things in life. 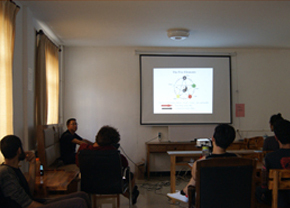 It was thanks to the training, staff, students and location that after only 3 months I no longer feel depressed. In addition to my mental recuperation I lost 15kg in the first 3 weeks and feel massively fitter than i did when i arrived and my flexibility has increased drastically: not bad for a 39 year old. 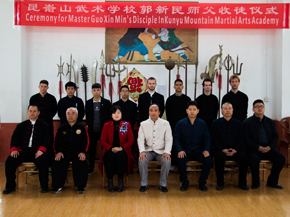 I feel that the biggest influences in my training time in Kunyu was a combination of Shifu Guo, Coach Loc(massive help) and of course my brothers and sisters with whom i have a very strong bond and will be missing a lot when i leave. I have had an amazing time in the 3 months i have spent in Kunyu academy. Christmas and New year's was a lot of fun and the fact the staff went out of their way to make it special for us made it so much easier to spend it away from home. Daily life was filled with routine which is what i needed due to my crazy life-style back at home and although it took some getting used it is exactly what i needed. I loved the training in Kunyu, although i have to mention that sometimes it felt that we were too many students and therefore not enough attention could be paid to all of us individually (which is understandable). Master Guo and Coach Lok have been incredible. Coach Lok is always there to help and Master Guo always has a smile on his face and is ready to help you get better. 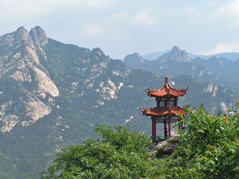 A big asset to the academy are the translators, they are the first point of contact with students upon arrival in Yantai and therefore this is very important. I have to say that all translators, without exception (but in particular Leila and Ivy) have been amazing; they are always ready to help and always smiling...they are part of the Kunyu experience. The surroundings of the academy are absolutely beautiful and breathtaking, I have enjoyed daily walks since my arival and will be missing all of it. Although I have not had the pleasure of experience the ake and waterfalls due to it being Winter i havenonetheless been taken by the beauty and majestic views. 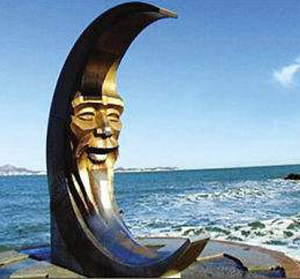 Yantai city is absolutely incredible and have enjoyed it on various ocasions (as well as Muping)...I hope to return very soon. Jenson joined with us for three month in Kunyu Mountain. Five and half months course from Oct 2017 to Feb 2018. As a child, I have always been fascinated by kungfu through various movies and also some books on the same. The biggest motivation for me for choosing kongfu and studying in China is Bruce Lee. 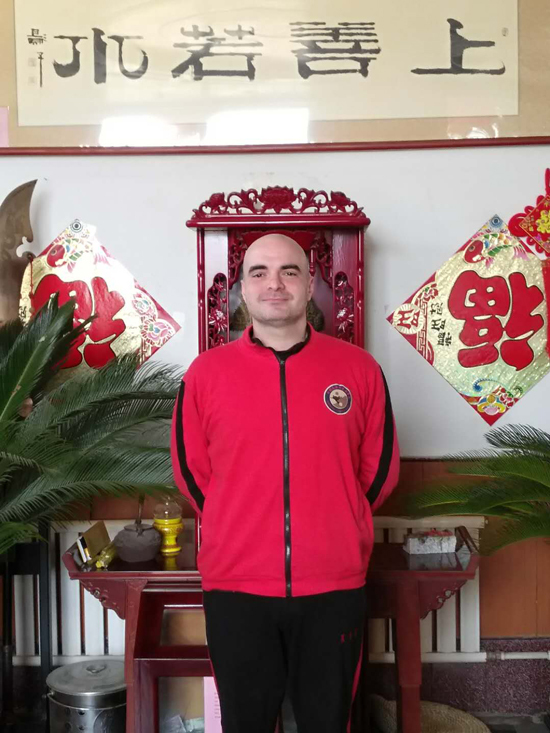 He inspired me to learn Wingchun and there is no better place in the world than the birthplace of kungfu-China. The greatest gain is the experience and the moments I shared with amazing people all over the world including the school staff there. Memories will always remain with me. I thank the school for everything. And now, the greatest gain from martial arts training is that you truly realize the potential of the human body, the strength, the agility, the flexibility and the immeasurable confidence. Although some classmates motivated and helped me during my stay here, but the 2 persons who motivated and helped me the most are shifu Guo and coach Loc. 2 great personalities, I feel blessed and fortunate to be their student. 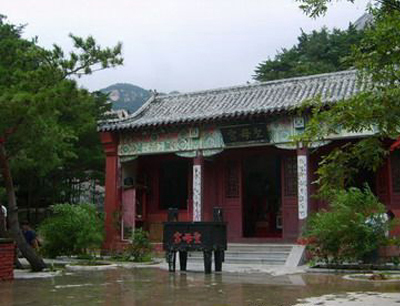 I recommend everyone to study in this school, especially if you are a beginner to kungfu or martial arts in general. Masters have good patience, translators are very helpful and they will go out of their way to help you,one of the thing I really appreciate.To summarize, a great environment to have a wonderful experience. To be honest, the pictures don’t do justice to this place. Its way more beautiful in real. 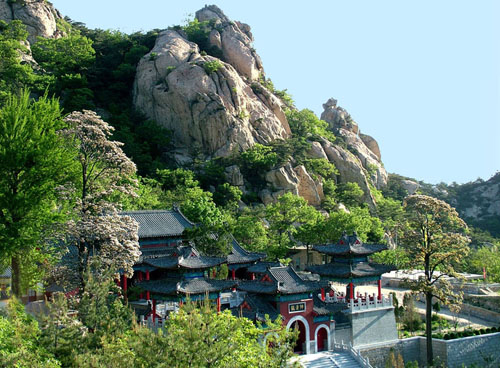 The mountains make it a paradise & the school situates right in front of them, no better place to learn Kungfu.So beautiful and serene. You can spend hours admiring the beauty of this place and even then it wouldn’t be enough. I will surely return, at some point in my life, to the place which made me a better person in infinite ways. I thank the masters, translators and the work staff for their dedicated and committed efforts. Pranit joined us for almost six months.